Labour dispatch is a set of enterprise systematization service to satisfy companies’ hiring request. Champ Partners Ltd. has a considerable amount of temporary contracted staff who has passed through direct interview and screening. We clearly know about their abilities and will provide suitable staff upon clients’ requirements with integrated training to ensure the staff knowing about the jobs’ requests. When the function is finished, we organise all the left administrative work such as time sheets management, wages distribution, MPF calculation and payslip distribution etc. Employers then can focus their resources on the planning of the functions and site layout which save costs for the companies. Why do you need staffing solutions? No matter of any sizes of an enterprise, most of them may need to employ a large amount of temporary professional staff within a short period of time. However, it is challenging to recruit a considerable amount of staff for common HR department without a hiring network. 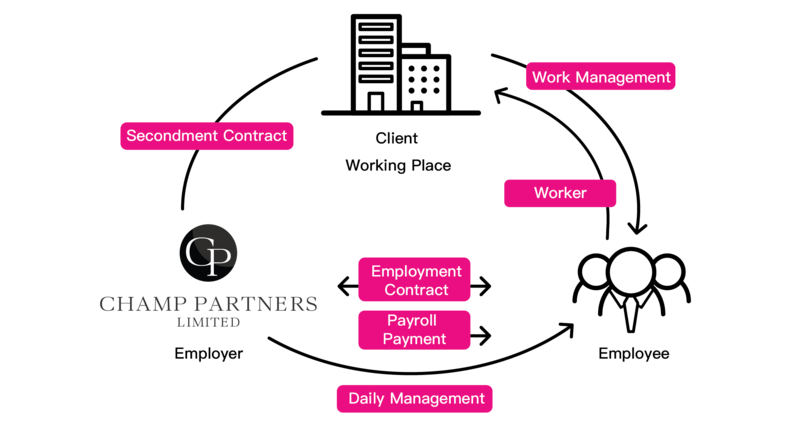 Champ Partners has a comprehensive recruitment path and staff library covering all industries and employment. When our client requests, we process internal and external recruitments upon clients’ requirements and schedule interview and contract signing. Then we send staff to a designated job place at the right time to satisfy clients’ hiring needs. The concept of co-management changes the traditional way to manage employees. Under staffing process, we will manage the employees together with our clients, in other words separating “daily management” and “job management”. For examples, we will handle the daily work like salary calculation, roster arrangement and payroll while our clients will handle the on-site planning and training. This reduces the workloads of administrative employees meanwhile raises efficiency. With co-management, “recruitment → onboarding → management → career path” is a whole set of a co-managing system for enterprises to solve HR problems. 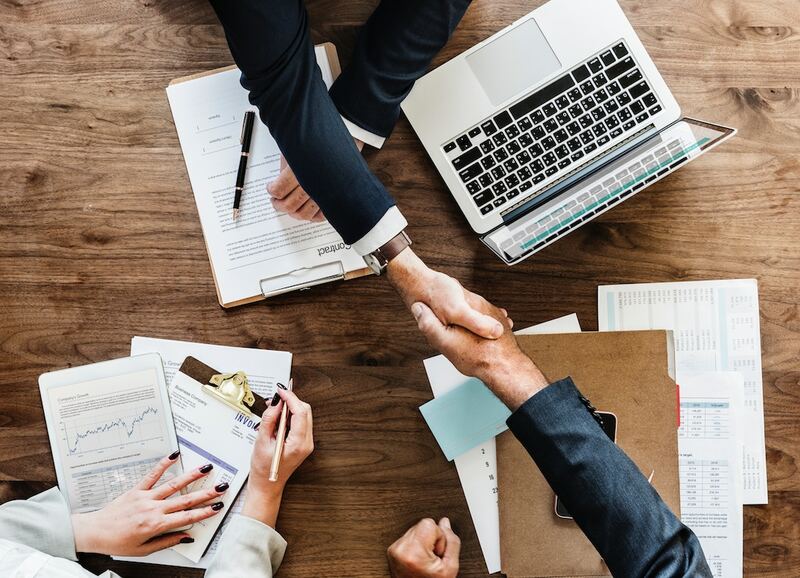 Using enterprises’ recruitment needs as an example, an HR outsourcing company does not only to provide staff but a cooperation partner to co-manage. To train, protect and manage the sent employees, the clients and outsourcing company need to work together in order to finish a recruiting process completely. That is also to ensure the provided staff can satisfy clients’ needs and save communication time costs, resulting in “1+1>2”. Many enterprises functions may involve work accidents. Staff who signed a contract with HR firm is protected by employee’s compensation insurance and medical insurance. So that the enterprise is exempted from the consequences if the staff unfortunately sustains an injury or dies at work. The risks are shifted to the outsourced company and process to provided insurance for temporary staff is absolved. How can staffing solutions benefit your enterprise? The feature of staffing solutions is that it includes three parties: the client, the employees and the employers (outsourcing company). The employees are employed by the outsourcing company with related contracts. And the outsourcing company will be responsible for all paperwork in line with the law and regulations. The clients do not need to provide welfare and right for the employees such as insurance and MPF. Heavy administrative work like the roster, working plan, wages calculation, taxes, payroll etc. will all be done by us to save lots of time for the clients. They can focus their resources and costs on more valuable work. Champ Partners Ltd. has cooperated with Nike and Manna, provided a huge amount of suitable temporary and part-time staff for clients’ pop-up stores and events. We had provided more than 100 staff for a huge event within a short period of time before. This filled up the human resources need and smoothed corporate activities. Before sending out the staff, our management understands the relating information from the enterprise and provides comprehensive training for the staff. Also, officers are on-site to observe, solve problems during the events and handle all administrative works from the beginning till finished.